It's not impossible to master space and time, apparently. If you're artist Eric Green, all you need is some graphite and a nice set of colored pencils. Green's stunning Time Diptych and Mirrored Room series, on display at AMERINGER | McENERY | YOHE Gallery through May 21, distort the rooms in his house in a scrupilous interrigation of his own reality. 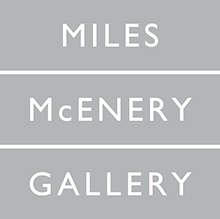 The Time Diptychs are studies of single locations at different times. Side by side, they read like a "Spot the Differences" comic rendered in super-HD. All of Green's works at this show are built on a foundation of graphite grisaille, brought to life with layers of colored pencil, and adorned with an ethereal UV varnish. Light playfully dances across Green's drawings, creating a simultaneously dreamy and hyperrealistic effect. The differences between scenes can be as subtle as a shift in color palette, or as obvious as the complete rearrangements a room undergoes from day to night. His Mirrored Rooms are even more surreal. 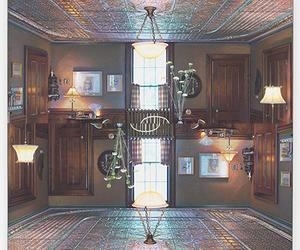 He paints a room twice on the same canvas, but one is rotated 180° to nearly mirror the other. They look like cracked mirrors that show slightly different worlds on each side, rendered with the same detailed unreality as his Time Diptychs. The most fascinating thing about the series is that it essentially depicts empty rooms in a normal-looking house. Green's complete inversion of the rules of reality help us focus on the little things that make up our own worlds, and question them.